M66 is a spiral galaxy. With M65 and NGC 3628 it forms a fine trio of galaxies in the constellation of Leo, about 35 million light-years from Earth. M66 has its spiral arms deformed by gravitational tides caused by its imposing neighbour, M65. 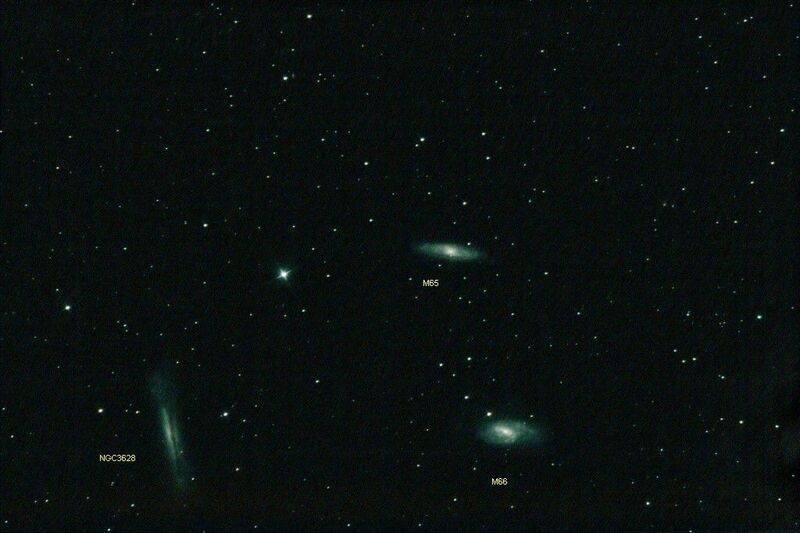 These two galaxies, catalogued by Charles Messier in 1780, are accessible using a small amateur telescope, through which they look like small whitish clouds.